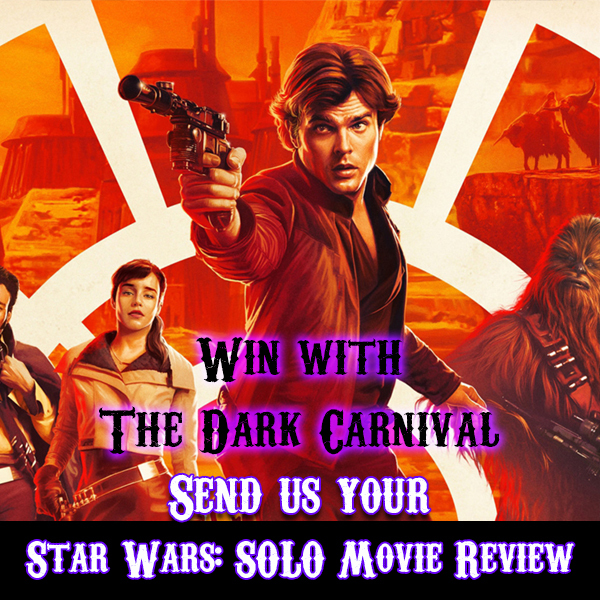 Win with Dark Carnival! Every month we will be running blog competition. Each month we will request specific reviews on something “geeky”. Send your review and contact details to info@nulldarkcarnival.co.za. All Reviews will be published on our blog, and the winning review will be our Featured Article for for the next month. T&C’s apply. All ages of entrants are welcome. No less than 400 words, maximum 1000 words. Any sources must be stated. Entrants must supply their full names, an alias if they do not want their name published on the article and a contact number. Entrants agree that all blogs submitted becomes the property of The Dark Carnival and therefore we have the right to do with them as we wish. All blogs will be edited and if any are deemed unfit for publishing, will be scrapped. Please include a relevant image with your review. Winners articles will be featured on The Dark Carnival site and receive the month is question’s prize. The Dark Carnival will have the prize delivered to the winner and will need the winners contact details and address. WIN WITH DARK CARNIVAL! 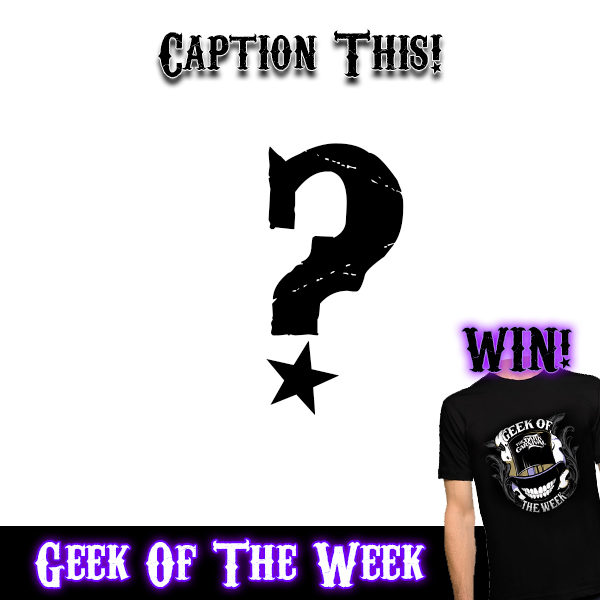 Every week we will be running a “Caption this image” competition to stand a chance to win a “Dark Carnival – Geek of the Week” t-shirt and get featured on our website! Winners receive an original Geek of the Week tee and will be the featured Geek of the Week on The Dark Carnival website and will be shared on social media. Upon entering the competition, entrant agree that their bio and image will be used on The Dark Carnival site for featured Geek of the Week. Winners may choose to use an alias should they not wish to use their real name. All winners must provide a short bio. and high res. photo that will be added to the featured Geek of the Week bio. on The Dark Carnival website. Winners will be required to supply contact details and a delivery address in order the prize to be delivered.